It's unclear how the group was chosen: whether [email protected], which is described on its website as "the affinity group for LGBT & Straight Ally employees at NBCUniversal," was invited by the organizers or applied. Parade directors voted unanimously to include the group, the statement said. The statement said the parade was "remaining loyal to church teachings," and O'Reilly said Cardinal Timothy Dolan, who is to be the parade's grand marshal next year, was "very supportive" of the change. 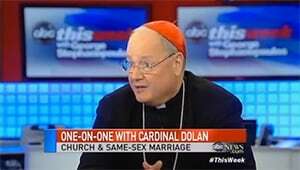 You’ll recall Dolan has a history of making disparaging remarks against the gay community. 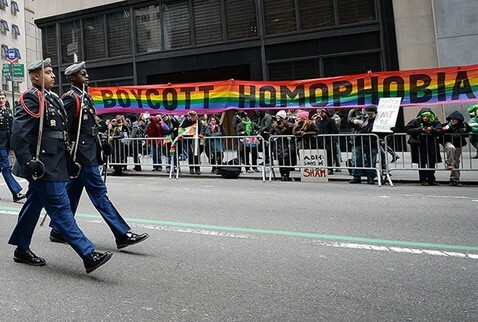 Previously, New York’s St. Patrick’s Day Parade has become a political imbroglio because of the ban on gay groups. Last year, New York City Mayor Bill De Blasio refused to march in the parade because of the parade’s exclusionary policy. Irish beer-maker Guinness also dropped its’ sponsorship of the parade last year after a boycott of the stout was threatened by several of New York’s prominent gay bars.